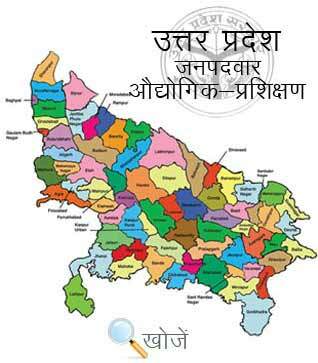 Etah is located in Uttar Pradesh and a part of Aligarh Division. The city has many Science Colleges, Convent Schools, P.G. Colleges, modern study points etc. to give the best knowledge to their students. Now in the modern era, students have different choices. They want knowledge along with skills. In our Country, ITI’s (Industrial Training Institutes) are the institutions which provide both technical and non-technical educations to the students over 130 specialties. The city has 2 Govt. ITI’s and 18 Private ITI’s. Admission procedure is done every year in the month of August. Vyavasayik Pareeksha Parishad (www.vppup.in) Uttar Pradesh is responsible for conducting the entrance examination for admission to various trades in ITI’s. Students can enroll in 6 months to 2 years duration courses like Travel and Tour Assistant, Agro-processing, Business Management, Fireman, Plumber, Information Technology, Mechanic Air conditioning Plant, Mechanic Auto Body Painting, Data Base System Assistant etc. Minimum qualification is Matriculation and the minimum age of 14 years is the mandatory condition to enroll in these courses. Students can also visit www.upiti.in to get all the latest information about admissions, exam results, counseling dates and other important notifications etc.